Besides golf R, edition 30, euro Recaro and Audi seats. Am I missing anything? Looking to keep airbags/heated seats. Something like this without a 3k$ price tag would be awesome. Last edited by drval85; 04-15-2019 at 09:12 PM. Don’t mind the look,but still want something that retains air bags. Don’t think these do. Not a bad option though. 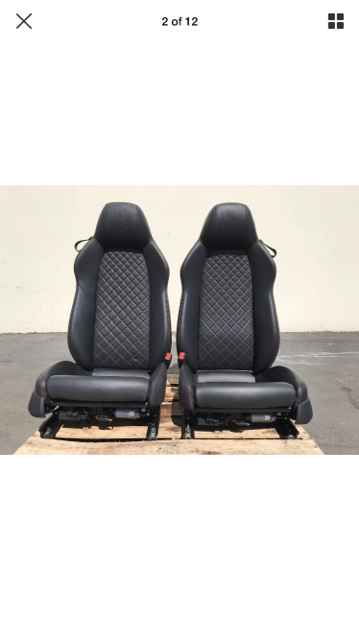 Yeah I’m looking for newer version Audi S/RS seats. Seems the best bet, just rare and incredibly overpriced for the sportier models. Yep, 100%. Though heavy they are certainly nice. I had wound up just getting Braum BRR1 seats which for the price looked pretty nice, kind of like the euro seats. But ultimately could not get around airbag light codes so found some nice GTI leathers instead. You didn’t have success with resistors for the air bags? Was also considering the Braums. That dash light would drive me crazy though. Last edited by drval85; 04-16-2019 at 06:44 PM.